A curious visitor to the city of Augsburg (Bavaria, Germany) can enjoy an unusual tourist attraction. It is called the Fuggerei, a town within the town built around 1515 by the wealthiest banker in town, Jakob Fugger. Its aim was to accommodate poor families in 106 comfortable and secure apartments, two in each of many neatly lined townhouses, with a square, fountains, gardens and all the utilities that were available at the time. At the entrance an inscription reads: For the good of their city and in heartfelt gratitude for the worldly goods received by (the Fuggers) from God. Jakob Fugger, nicknamed “The Rich”, had reasons enough for his unusual initiative. He was indeed provocatively wealthy and perhaps wanted to reconcile his conscience by performing this remarkable charity. Perhaps he also wanted to apologize, as a Catholic, for the very unorthodox methods by which he took his family and his town to the pinnacle of opulence at a time when the Church had not yet relaxed its strict rules against usury and other business devices of large-scale capitalism. Jakob learnt them in Venice, where he was sent as an apprentice. He also absorbed the culture of Renaissance Italy and became a patron of the arts, a sort of German Medici. Albrecht Dürer painted two portraits of him. The Fuggers had done business with many countries and in many branches of the economy, not only in banking. They took advantage of their fidelity to the House of Habsburg, whose emperor Maximilian was fond of Augsburg and a close friend of Jakob’s. Having failed to win the election as Holy Roman Emperor in 1518, Maximilian asked his favourite bankers to support his grandson Charles the following year. 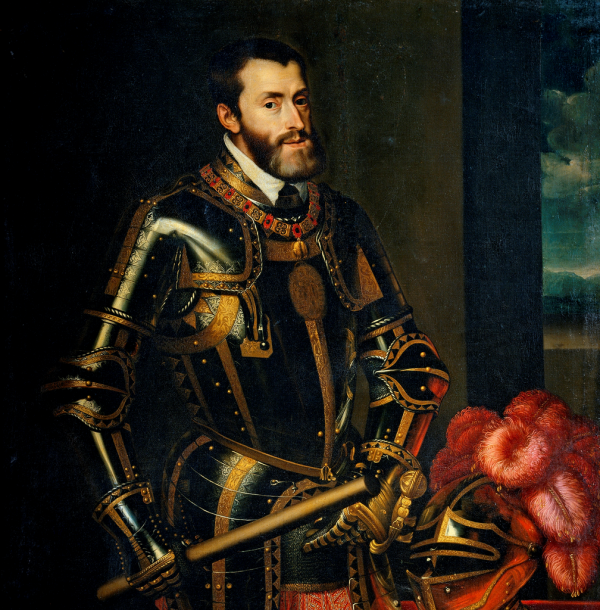 Charles had become by inheritance King of Spain and Naples, as well as ruler of the Netherlands and Burgundy. He was too powerful to accommodate the German Princes who wanted a less threatening emperor. He also had to compete with Francis I, the French candidate. Finally the electors unanimously chose the candidate who provided the highest bribes: Charles, whom the Fuggers financed with 850,000 florins, with an additional contribution of 143,000 florins from an other family of famous bankers of Augsburg, the Welsers, and a further contribution from Italian bankers. In the future, Charles would need a great deal of financial support from those families for his ambitious foreign policy, his many wars for the control of Italy and against the Ottomans and the Protestants. When he arrived in Spain in 1517, he found that Castile could not provide sufficient funds for his imperial enterprises. Neither was Aragón able nor did it wish to contribute, not to speak of the more distant components of his Empire in Italy and the Netherlands. Many new taxes had been invented since the time of the Catholic Kings, some revenue was obtained from the riches of the Catholic Church and fresh rights were imposed on the incipient trade with the Indies. But substantial quantities of gold or silver wouldn’t start arriving from the American colonies until around 1550: obviously, the imbalance between revenue and expenditure could be bridged only by loans from the bankers of Augsburg and Genoa. Augsburg had become the capital of modern capitalism, after being an important centre of commerce during the Middle-Ages. The Roman Emperor Augustus Caesar had founded the city and given it his name. He had done more than that. He had connected it with Venice through the Via Claudia Augusta, a road that channelled trade between Italy and the South of Germany. Of course, the bankers not only expected repayment of their loans with high interest. Since this hardly ever materialized, they demanded tangible guarantees from their powerful customers, which in turn gave them the opportunity to improve their international business and income. From Spain, the Genoese obtained the monopoly of the trade of playing cards and the exploitation of salt mines. 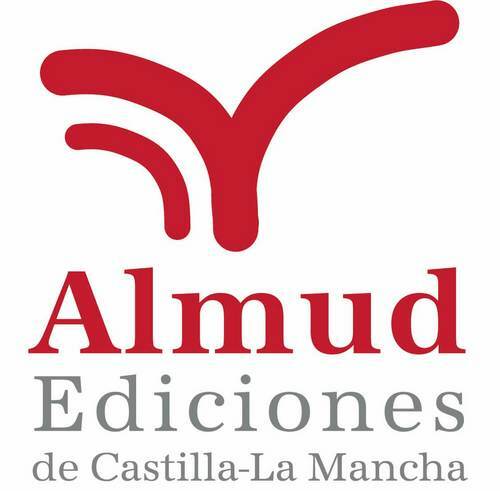 The Fuggers were given control of the mercury mines of Almadén in Castile and the silver at Guadalcanal, in Andalusia, plus the management of the property of the military orders. But it was the Welsers who obtained what I found the most startling of these collaterals. This family, also from Augsburg, obtained the first monopoly for the production of sugar on the island of La Palma, in the Canaries. Then, from their base in the Hispaniola (today’s Dominican Republic) they controlled the traffic in pearls from the island of Cubagua. They finally sought an agreement or “capitulación” with the Spanish monarchy for the administration of “the island of Venezuela”, accepting in exchange the obligation to build forts and Spanish pueblos on the mainland, importing pines from Tenerife (Canary Islands) and “very black blacks” from Africa. They sent an expedition of 300 men to Santa Marta and Maracaibo and one of their agents, Ambrosio Alfinger, was appointed governor. He established the first capital of Venezuela in Coro, a city they built beautifully following the colonial model of the Spanish New World. Thus Venezuela was “out-sourced”, as we would say today. Charles’ basic idea, according to which his kingdoms had to pay for his imperial project, was not well received in Castile, which was the most substantial of these kingdoms but it was not rich enough to finance an assemblage of territories so incoherent and widely extended. The new king didn’t succeed in gaining the adhesion of his new subjects. On his arrival he was found to be clumsy and not very good-looking, he didn’t speak a word of Spanish and he came accompanied by a team of “rapacious Flemings”, as John S. Elliott called them. They distributed among themselves the highest dignities in the Court, including the Archbishopric of Toledo, which went to Guillaume de Croy, the sixteen-year old nephew of the Grand Chamberlain Chièvres. As soon as the new king won the election as Holy Roman Emperor, he prepared to leave for England and Germany, appointing his tutor Adrian of Utrecht as Regent of Castile. An absentee king was the last offense the Castilians were prepared to suffer. They didn’t believe that Charles would ever come back and started a strange rebellion known as the war of the Comuneros. It broke out as a quarrel between opposing factions of noble families. After Toledo, several cities like Segovia, Salamanca and Valladolid joined the revolt, mainly out of fear of losing of their local privileges. In the end, the peasants took advantage of the confusion to protest against the aristocracy, transforming the initial conflict of the elite into a social revolution. This strange war lasted almost a whole year, from May 1520, as Charles left Spain to take possession of his new dominions abroad, until April 1521, when the uprising was defeated by troops loyal to the Emperor in the battle of Villalar, near Valladolid. I find it paradoxical that the official name of this village ended by being Villalar de los Comuneros. Also that in later years Madrid would honor the main military leaders of the rebellion against the monarchy by giving them the name of three of her best streets: Juan de Padilla, Juan Bravo and Francisco Maldonado. They had been executed on the day after their defeat at Villalar.